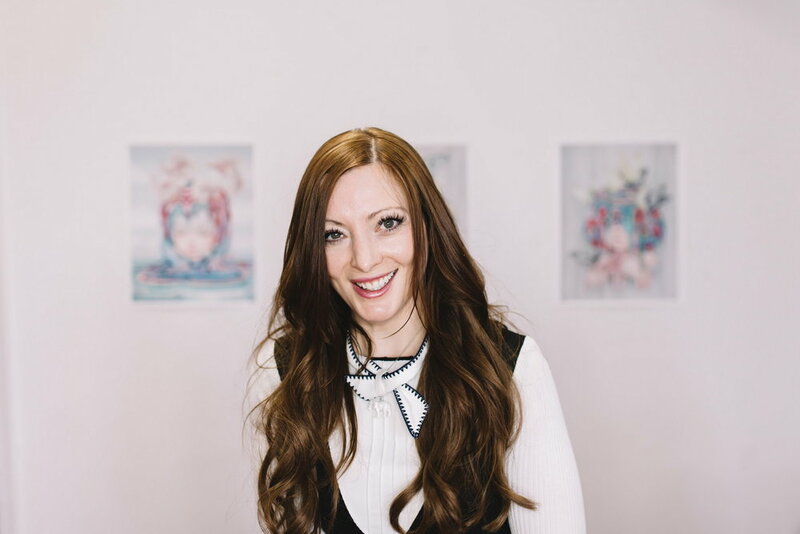 Camilla d'Errico has followed her dream of successfully working creatively for a living thanks to her relentless energy, dedication, and creativity. She has a lot going on juggling two careers and wants to make 2018 a positive year of cultural diversity, unity, love and acceptance. 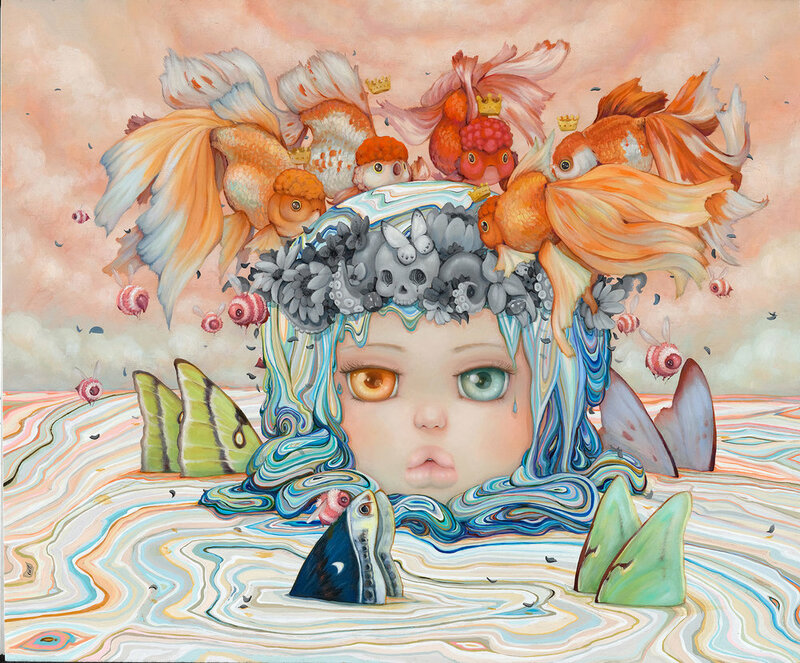 Camilla d'Errico is an Italo-Canadian artist who has been making waves in the fine art and comic industries with her manga-influenced style. She is an urban contemporary painter, illustrator, character creator and comic artist residing in Vancouver, Canada. She graduated from Capilano University's IDEA School of Design in 2005. With roots in comics while also contributing to the vinyl art toy movement, Camilla’s beautiful work is seen on toys, clothes, accessories and other merchandise. She has been published by Random House, Boom! Studios, Image Comics, IDW and Dark Horse Comics, with self-publishing roots for her literature-inspired series, Tanpopo. Camilla has distinguished herself as one of the breakthrough artists in Pop Surrealism's New Figurative movement through her ability to seamlessly weave manga and western styles with surrealist elements, wrapping it together with an extensive emotional palette. She has a unique style, bridging cultural and geographical boundaries, while remaining totally relevant to today’s varied audience. Ever the prolific artist, Camilla lives the double life of comic artist/creator and New Brow painter. More recently she has been working with entertainment companies on feature films and videogames. What have you done since Grad? Since graduating from Capilano University's IDEA School of Design I’ve gone on to work with publishers, companies and galleries across North America and worldwide. I’ve worked in freelance design for companies like Disney, Hasbro and Mattel, with fine art and licenced releases through companies like Gelaskins, Nuvango, Kidrobot, This Is A Ltd. Edition, Liveheroes and many more. My artwork and instructional books are published by Dark Horse Comics, Random House Books, Image Comics, Boom! Studios and online through Line Webtoons, with instructional videos published through Skillshare and Creativebug. Since I’m a full time independent artist, I create new artwork in my studio for exhibition through galleries like my upcoming showings with Corey Helford Gallery (Los Angeles) and Haven Gallery (New York), and take my artwork to convention events across Canada, the United States and to international events for guest artist features. Now I’m working on my next coloring book for my publisher Random House Books, and creating a new comic series for publication on Webtoons in 2018. The 3rd installment in my instructional video series through Creativebug is slated for an early 2018 release, and my next solo exhibition at Corey Helford Gallery (Los Angeles) opens April 7, 2018. I’ll be travelling to and from conventions in the coming year, but always make time to create new paintings, illustrations and special releases for my fans and collectors. 2018’s going to be a full and amazing year! What has IDEA School of Design taught you that could be helpful to students thinking about applying? Capilano University's IDEA School of Design taught me a lot about structure and delivering on my deadlines. A lot of my art style is self-taught, but being able to complete your work to the best of your ability and meet your deadlines are important lessons to learn in order to be an independent artist. They’re skills you’ll use for every project and client. I know of so many truly talented artists who can’t go independent because they’re not equipped with the self-discipline and motivation I built through completing the IDEA program. For more on Camilla, see: camilladerrico.com, follow her on Instagram @camilladerrico, Tumblr camilladerricoart.tumblr.com, Twitter @helmetgirl and Patreon.